We’ve probably all experienced the nuisance of minor pain. You get a sinus headache, you reach for a decongestant. A backache? Ibuprofen may do the trick. But for people with chronic pain (it lasts longer than 6 months), the answer may not be as simple. That’s where physical therapy can help. 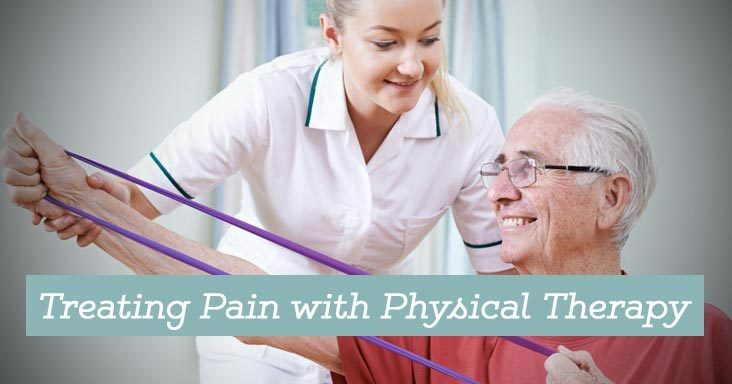 Physical therapy can help treat not only the pain, but the underlying cause of it as well. Physical therapy can help decrease pain, increase mobility, and improve overall mood. Therapeutic treatments are designed to help a person increase muscle strength, endurance, joint stability, and flexibility. In addition, it can help reduce inflammation, stiffness, and soreness. It encourages the body to heal itself by boosting the production of the body’s natural pain-relieving chemicals. Now, that seems like a smart move! Weslaco Regional Rehabilitation Hospital is part of Ernest Health. Ernest Health provides specialized medical and rehabilitative services to our patients through our rehabilitation and long-term acute care hospitals. We treat patients who often are recovering from disabilities caused by injuries or illnesses, or from chronic or complex medical conditions. Our leadership team brings extensive healthcare experience to Weslaco Regional Rehabilitation Hospital. We invite you to meet them and learn more about why they are passionate about healthcare. At Weslaco Regional Rehabilitation Hospital, we are committed to being good neighbors and responsible corporate citizens in the Weslaco community.